Where does an aspiring home-mycologist begin...? - hehe yea i know... pretty vague question. But seriously, i've been snooping around this site awhile and i'm getting an unhealthy interest in fungus. Is there anywhere in the Midwest where i could meet other growers? Thanks so much, just for reading this -sorry to be such a spore. -Can you prove i'm the father?! Mycology is interesting and less detectable than green grows, but there's nothing to stop ya from doing both. First thing to do is get some spores on the way. You can pick up whatever substrate materials and equipment you need while they're on the way. Edible varieties can be aquired from the grocery store if that's what you're interested in. some nice easy to open/close ziplock bags. Aside from this, you'll need a clean place to incubate the jars at around 85 degrees. After incubation, a fruiting chamber is needed. This can be as simple as a Sterilite/Rubbermaid/Whatever plastic container with a layer of moist perlite in the bottom. I like to set them upside-down, putting the perlite in the lid. Then air exchange is easier and it's easier to snap pictures w/o touching the culture. What you need for substrate depends on the species you're growing and the techique you're following. As you buy, though, get 'Organic' products where applicable. Whatever you decide, understand that many different ways to be successful with this. 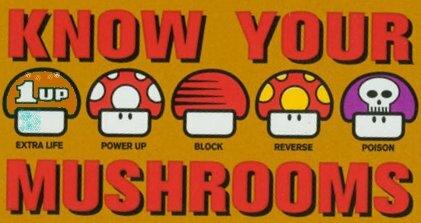 So long as the mushroom grows, you did it 'right'. As you make your choices, it's not a bad idea to choose what seems most natural or easiest for you. Don't try to force growth, but rather accomodate it and stay out of the way. If you want to get a book, I'd recommend "The Mushroom Cultivator" by Stamets/Chilton. very first grow with an Ecquadorian strain. setup and it will have only costed me about 25 bucks. price from $25 to $400. You want to learn about mycology? Join your local Mycological Society. Get some id books and start hiking and learning. Growing a magic mushroom in a jar is a long ways from being a mycologist. Thats like saying I'm a doctor cuz I know how to apply a bandage. A true amateur mycologist will have a basic understanding of all mycological issues, not just how to grow or id one specie out of millions. I suggest you visit the SporeLab where you will find more than just spores and a cash register. Check out the links to Mycological Societies. The Gallery of pics of species other than cubensis. The Agaricus bisporus comnpost mix, the Laccaria laccata properties, the reports on commercial mushroom picking. There is more to this sport than just the one mushroom! Max, you are so bad.. You are the pot calling the kettle black. I've been to the Spore Lab; it's a real nice site w/ lots of great info & pics. But how come you only sell a few species out of millions? Thanks guys! I didn't expect such a warm welcome (more of a 'yer bothering me kid -get outta here!'). I'm definitely gonna pick the book up. As for the jars... i'm as new to canning as i am to mycology... where does one get jars? Would i expect to find these in a grocery store, k-mart, walmart, or is this a science surplus store kinda thing? the maximum area i have to work with is 3 x 3 feet (where i can leave the setup), i'm going to be using a kitchen roughly 30 feet away for sterilization and then transporting them -is that gonna be an issue? I was hoping to avoid hand misting to minimize contamination -what kinda supplies should i look into? I'm also trying to avoid arousing suspicion, by minimizing when i'm looking at my aspiring shroooms. I have around 1000 dollars to invest, and i'd like to get a good encouraging harvest, that will only stimulate more interest in the field. sorry to be such a spore. You can pick up 1/2pint canning jars from your local wal-mart(Right now they are in the "Seasonal" Isle) Hand misting is not always necessary, a perlite humidication is all you need with a possible fishtank bubbler to aid in air exchange(also found at wal-mart). Transporting the jars 30ft isn't going to pose any sort of issue, especially if you are using the PF method (which I highly reccomend of the begginner). $1000 dollars is more than plenty to start this hobby, maybe $100 is all you need for the basics, probably less. Its best to use a pressure cooker to sterilise and since you have the money you can pick one up at wal-mart,again, for about $50 or do a search on good ol' ebay and find one cheaper. I live in So. CO so perhaps we could hook up if your not too far away. Great thread, I'm feelin' the love!! There are so many sucessful ways to grow the shroom, forgive me for sticking to only mine. KitchenKrafts.com got me those .5 pint jars that are the "squat" kind. They seem to colonize faster, and are more compact. A simple mixture of organic brown-rice flour mixed with distilled water and vermiculite are the only 3 ingredients needed for the growth of The Shroom. The vermiculite was obtained at a HomeDepot, the BRF at a Whole Foods, and the distilled water from a nearby Thom McAnn. After a pressure cooker sterilized the jarred substrate alluded to above, they were allowed to cool and got a squirt with some spore water from a vendor-supplied syringe. (Golden Teacher rocks). Each day, the cakes were sprayed with distilled water from a spray bottle from Ace Hardware, and the nice glass lid was pulled off, and vigorously waved lengthwise to fan and rid the tank of accumulating C02. When the fruits came to fruition, they were lovingly laid aloft above the plastic square gridwork of that light diffuser material that sat atop a layer of Damp Rid in a Rubbermaid container that could be used for leftover stroganoff atop buttered noodles. Afterwards, to come full circle, the dried fruits were snapped into .25" segments, the caps left whole or broken only in half; were placed in one of the very jars used to sterilize the substrate. Now that I have all the supplies I'll ever need, the cost of each growing cycle (or experiment, as I like to think of them as) is either free, or pennies. I only need to buy vermiculite and brown rice flour. The spores I'll never need to buy again unless I'm pressed to try another strain. I make my own syringes and prints. It's rewarding as hell, and I can't relay my delight when I see one of those cakes with the 4 shrooms growing in perfect formation, all with the same "curve" yet all somehow parallel in the twist and stance. The best of all, is a planned night with friends utilizing the fruits of the labor. I'm often heard saying such nonsense as the experience is "food for the soul," or "this is what life's all about." I hope you gather as much enrichment from the project as I. The techniques I used were all gathered from reading done on the web. I'd be happy to share the specifics of any task involved. Just ask. Or private mail me. I also advice you to begin with only 2 or 3 (at most) jars, because normally you won't get results at 1st try (some have!!). Sterile techniques and patience are the most important keys to achieve success. Trial and error, trial and error!! Edited by MAIA on 07/02/01 10:18 AM. there is no such thing as a difficult endeavour until you know how it works. but you need supplies, and basic elements that will let you grow to the scale you want. in the aspect of sterility, you want to consider the pressure cooker. it really make things a lot better, plus once you get used to using it, you might never want to boil anything again. you can play with any grain substrate you like without fear. cheap gloveboxes work really nice for tranfers and innoculation. 4+ shoebox-sized plastic bins. for casings. He somehow manages to breathe in his sepia, wounded-tea liquid ambiance suspension. I have foudn grandparents to have pressure cookers to use. My grand motehr had 3 of them and the other grand ma had 2 seems they were popular a while back might beable to get one from your grand parents and save some $$$ . Tell them you need to sterilize some tools to work with your computer or somethign. thats whar worked for me.. It is trully amazing how many new people are getting into growing mushrooms at home. I remember coming on this site 3.5 years ago for the first time(I don't even remember the name I registered under) and most people on had been on for a while and stayed on for a while. It was always the same people answering questions and inquiring about new teks. It makes me really happy and proud to be a part of something that is really starting to take off. And I mean take off! For those that have been on here for a while, take a look around at al the new faces. It is trully amazing. Get ready Bushism's....here comes the psychedelic revolution ten fold! Keep it up guys. Fight for what you trully believe in and it will happen. Things are changing so much I get goose bumps just thinking about it. Those four things are the basic backbone of a good setup. You will never regret the money you spent on good tools, but you may regret having wasted your money on junky stuff that is a pain to work with. It is true that you can do things on the cheap, but working with quality equipment is just so damn pleasurable! Even some of the small details make a difference: Pyrex petri dishes are nicer to work with than the disposable ones. Filter disks are great and inexpensive. Plastic autoclavable lids for the jars are preferrable to the rust-prone standard lids. A nicely-balanced scalpel and a good innoculating loop make agar work easier. A good set of scales is a must. If you get really serious about it, you will eventually want a good microscope, too... not one of those little Tasco jobbies you find in the Toys R Us catalog. E-Bay is the best place to get a decent microscope without breaking the bank. It is an addictive hobby, no doubt about it. 1,239 topic views. 39 members, 163 guests and 13 web crawlers are browsing this forum. Generated in 0.055 seconds spending 0.01 seconds on 19 queries.